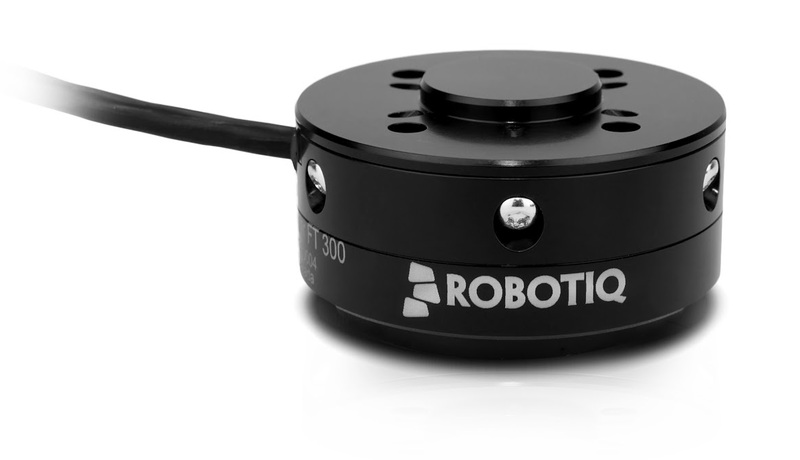 Québec City, Canada – Robotiq launches its newest Force Torque Sensor: the FT 300, bringing a sense of touch to robots. With plug and play integration on all Universal Robots, the Force Torque Sensor FT 300 makes automation of high precision tasks such as product testing, assembly and precise part insertion easy and fast to setup. “We strongly value our customers’ opinions and knowledge; and we want to use this to provide positive solutions for the successful automation of their project. We strive to make our products user-friendly and fast to integrate in any kind of industrial application, so that our customers can concentrate on their business. That is what the FT 300 is all about.” explains Samuel Bouchard, CEO of Robotiq. In order to make the automation of complex tasks as easy as possible, the FT 300 comes with all the necessary mechanical parts, including easily attachable USB wiring, plus software templates to operate the Sensor. Also because the Sensor is digital it doesn’t require an external signal processing box. This means customers will hit the ground running and save on downtime. 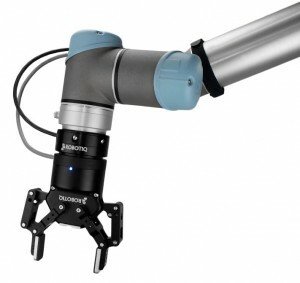 This new product is now available through Robotiq’s global partners. These high-tech distributors can quickly integrate and train local customers to program the Force Torque Sensor on Universal Robots using the plug and play kit provided by Robotiq. Robotiq’s mission is to free human hands from tedious tasks, so companies and workers can focus where they truly create value. Our Grippers and Sensors enhance robot application flexibility and integration simplicity.